When reliability, performance and lasting integrity are considered, nothing is more important than the correct fit and adjustment of gears in an assembly. Because assembly and adjustment procedures are typically done in the field under time constraints, it is absolutely critical that replacement parts fit correctly to ensure a lasting repair. 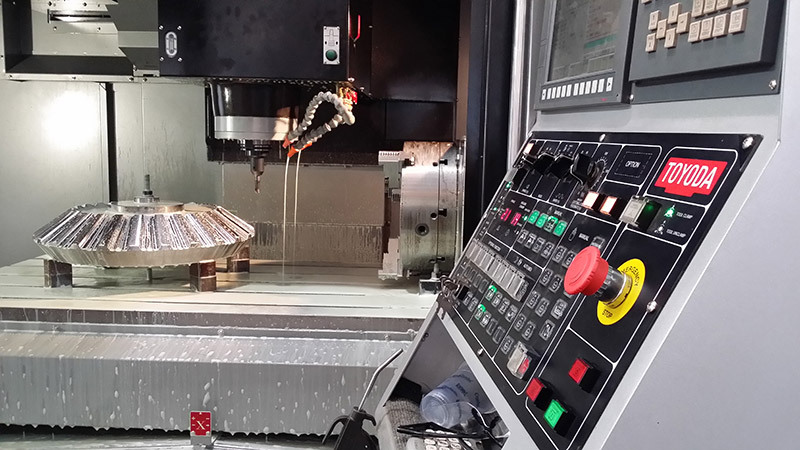 By nature of our experience and proven results in the field you can be confident in the quality of our gears precision machined to ½ a thousands of an inch, i.e. .0005. 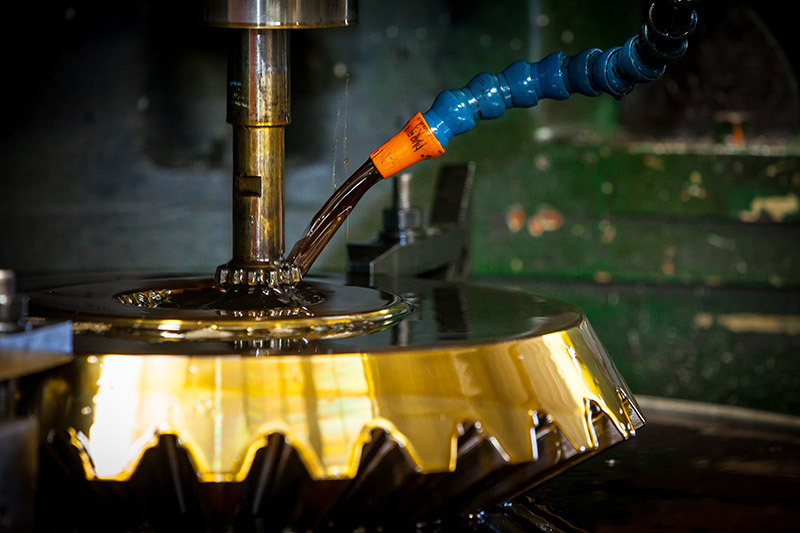 As a member of AGMA, we conform to gear production standards used by major manufactures throughout the world ensuring proper fit and performance. Mitchell Crane gears are turning in machinery across the globe on construction sites, drilling locations, workboats, scrap yards, and more. 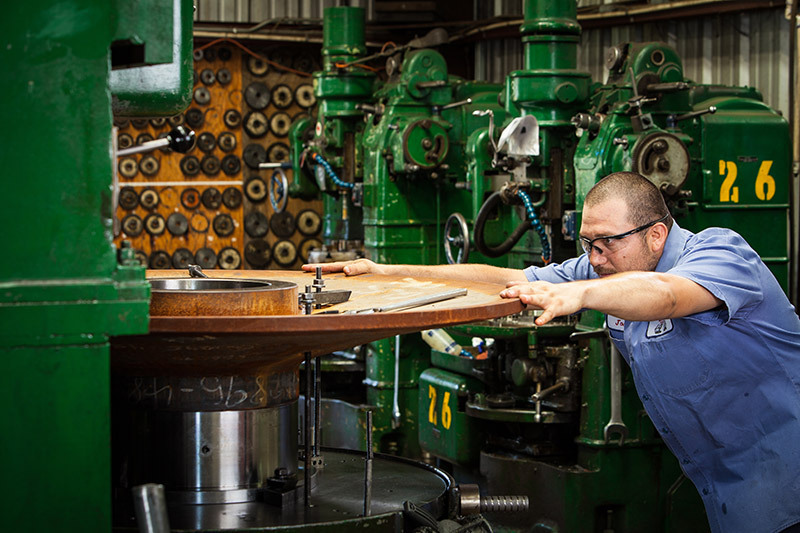 Gear production has been a focus of Mitchell Crane manufacturing from the beginning. 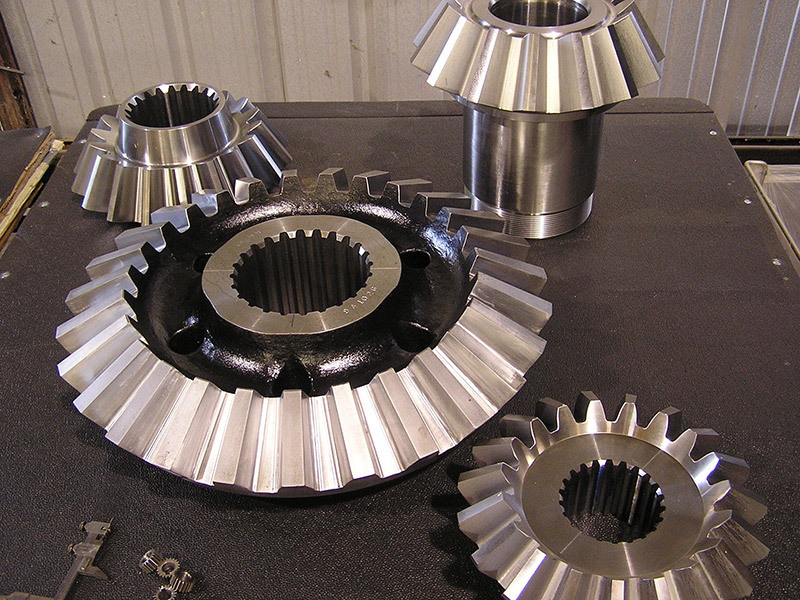 The crane industry's demand for high quality gears at fair prices propelled Mitchell Crane to develop a department specifically for gear and spline production. 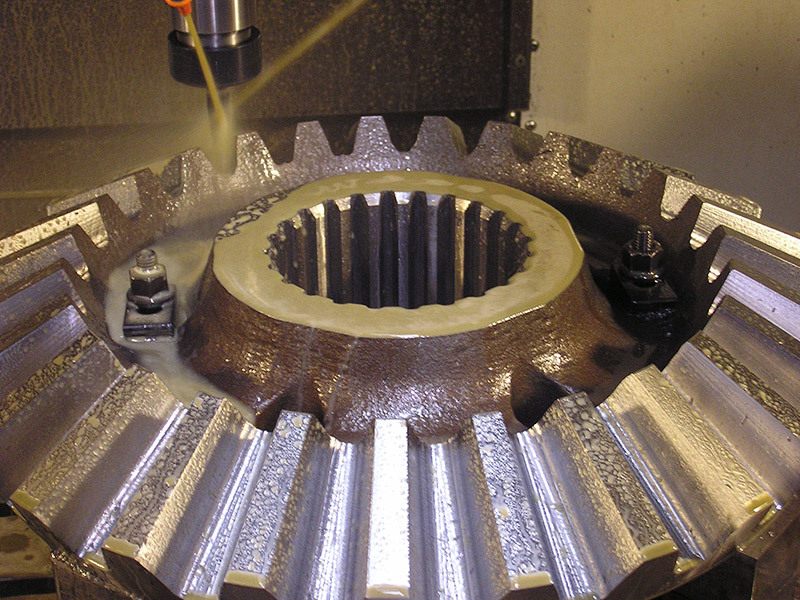 Mitchell Crane’s gear shop is more than knowledgeable and experienced in the process of cutting external gear teeth and sprocket teeth for various applications both in metric and standard sizes. With the utmost regard for extreme precision, Mitchell Crane’s gear department maintains a firm diligence to produce gears only of the absolute highest quality made from the highest quality raw steel and precision finished to .0005 of an inch. 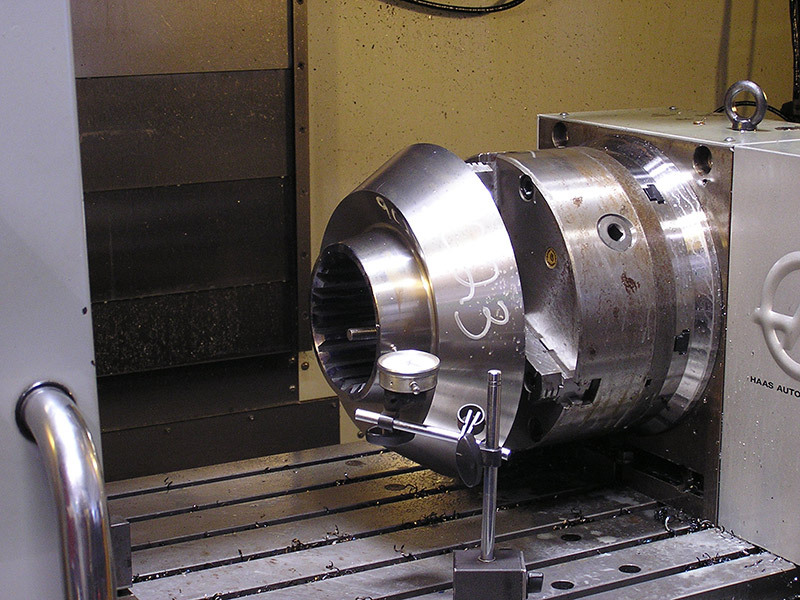 Mitchell Crane’s offers you our capability to cut internal and external splines to your specified “Class” fit as a service of our machine shop. 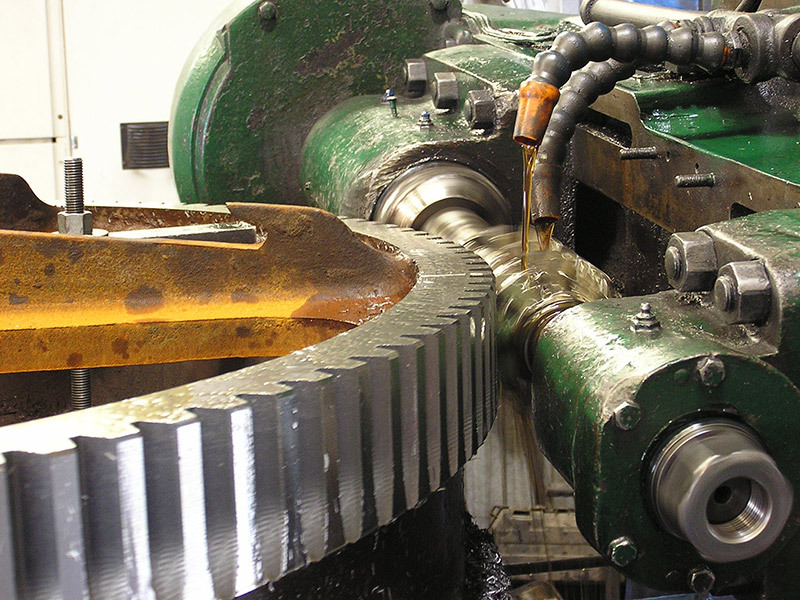 Mitchell Crane has satisfied spline cutting requirements of many users and manufacturers over the years to aid in the production of countless products proving our unique diversity of manufacturing experience. In addition to new spline work, it is a common practice for our customers to request that we re-spline a worn part to bring it back to like new condition. 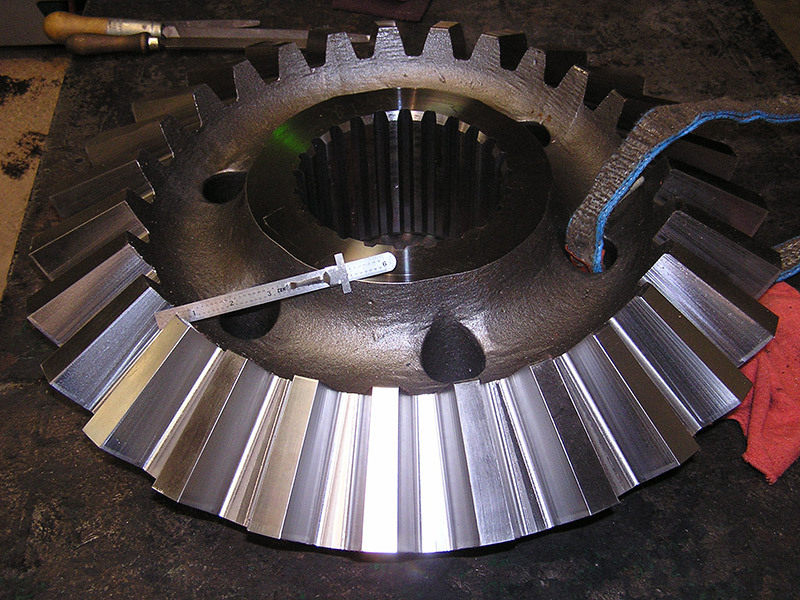 Spline cutting services are used by many end users to repair broken or worn splines in older parts that would otherwise need to be replaced by a new part. 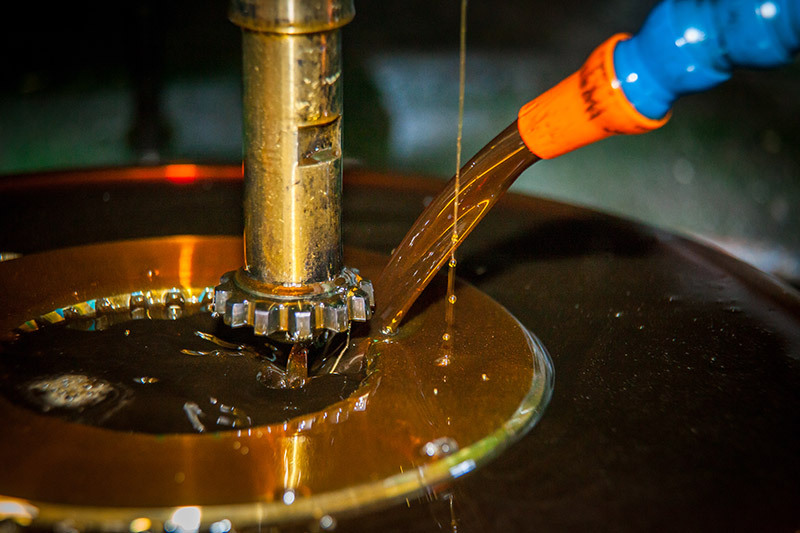 Our daily production of splined components such as shafts, drums, spiders, sprockets, couplings and clutches ensures that our teams skills are honed to perfection. Mitchell Crane’s spline cutting service is an asset we use to collaborate with other manufacturers to form valuable alliances in production when looking to out source this process. Mitchell Crane is eager to serve as your manufacturing partner. Refer to our Capacities Chart for machine specifications.